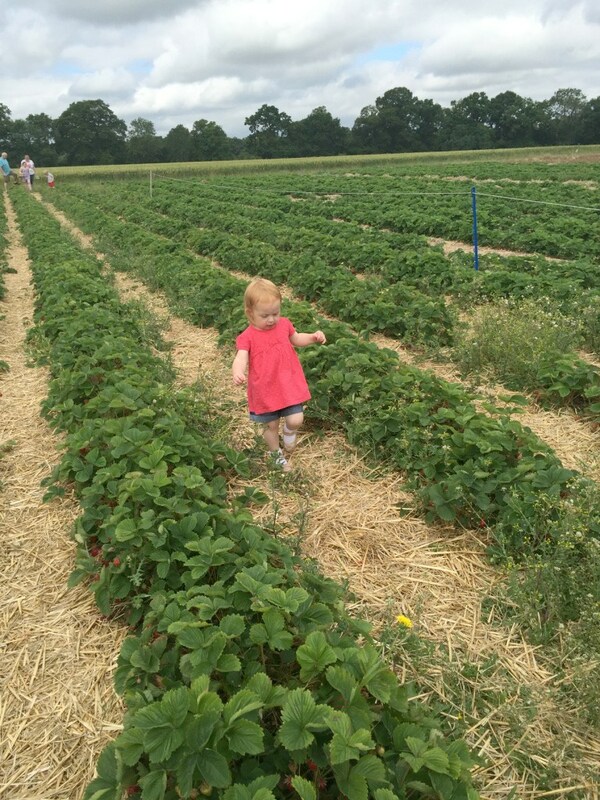 Strawberry Picking At West Green Fruits! 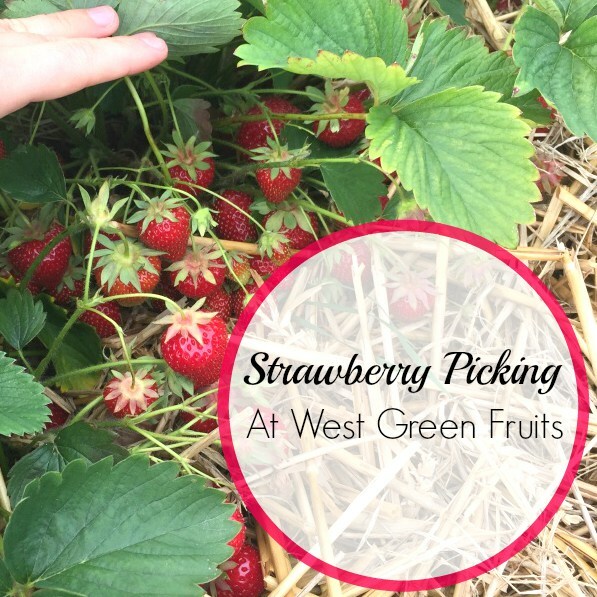 I was trying to think of somewhere we could go the other day when I realised, that almost right on our doorstep in our little village was West Green Fruits! 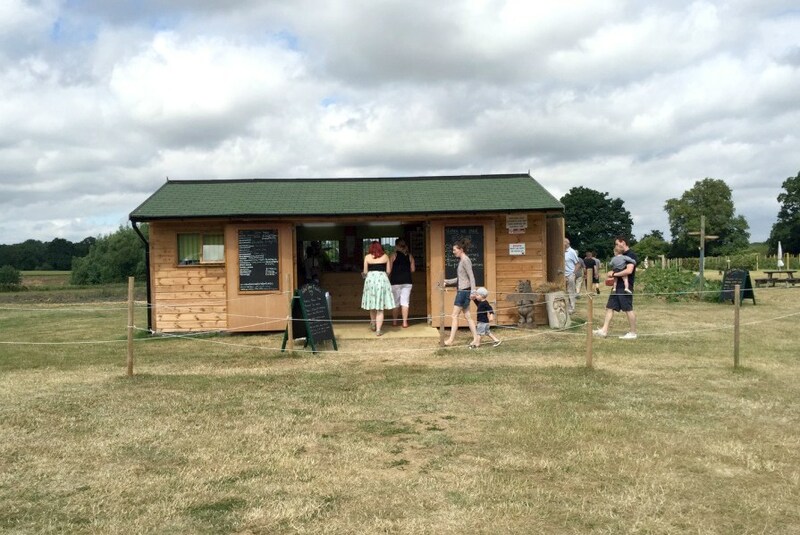 A family run business in Hartley Wintney, that offers a large range of fruits and vegetables, which you can either pick yourself or they sell ready picked for you. 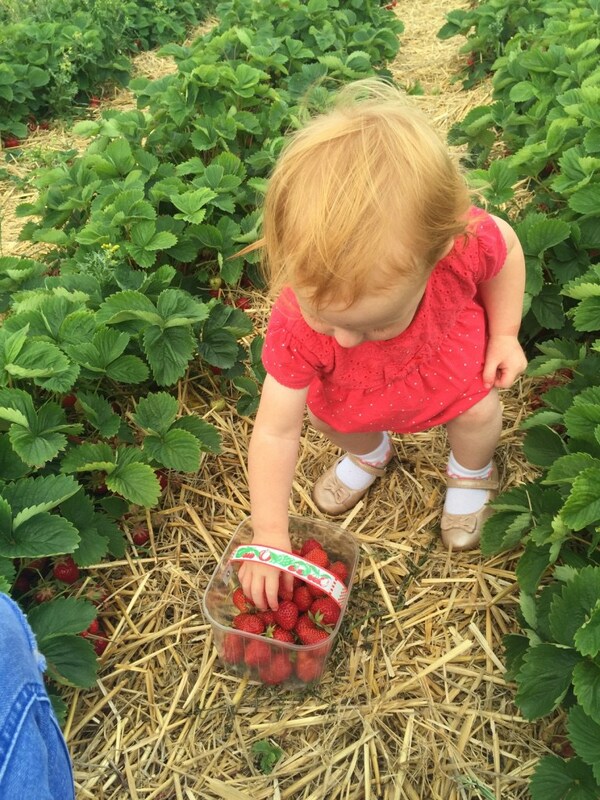 We picked up two of the small pots to fill up, and walked down to the strawberry fields, to start filling them up. 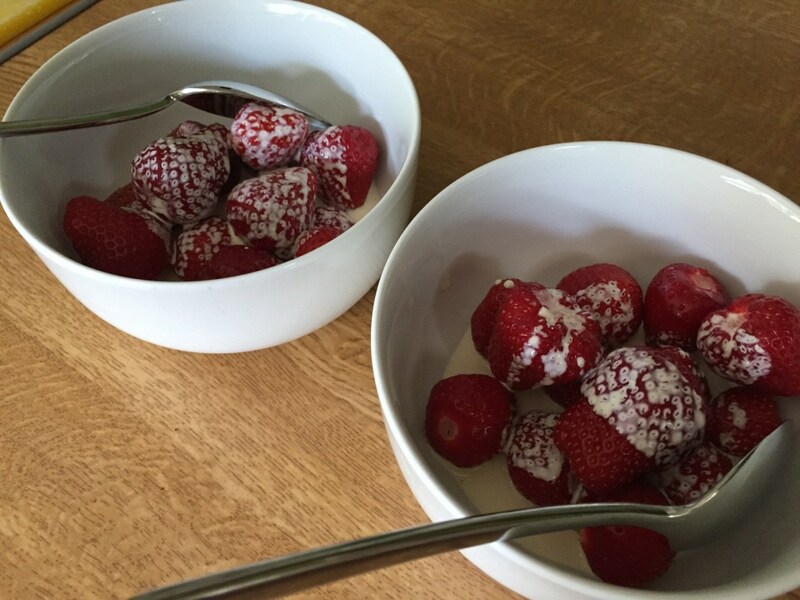 Well, I and Beth filled them while Mia ran about eating strawberries, I don't think that she put a single strawberry in either of the pots, she would just eat them or put them in then take them out again and eat them! I was expecting the price at the end to be quite pricey, as it was a pick your own and fresh fruit. 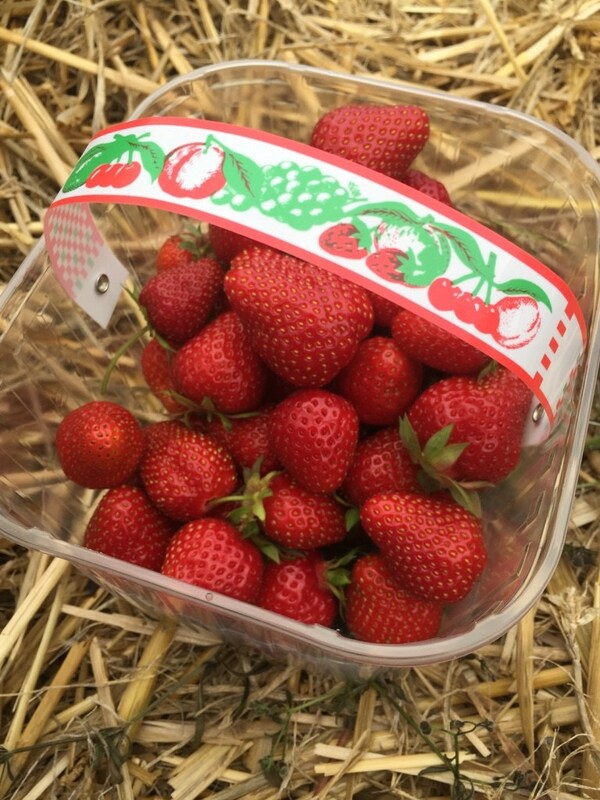 But I was really impressed for two pretty full pots of strawberries, it was only £6.60, which I think for fresh lovely fruit and the enjoyment we had, compared to some of what you get from the supermarket is really really well priced! 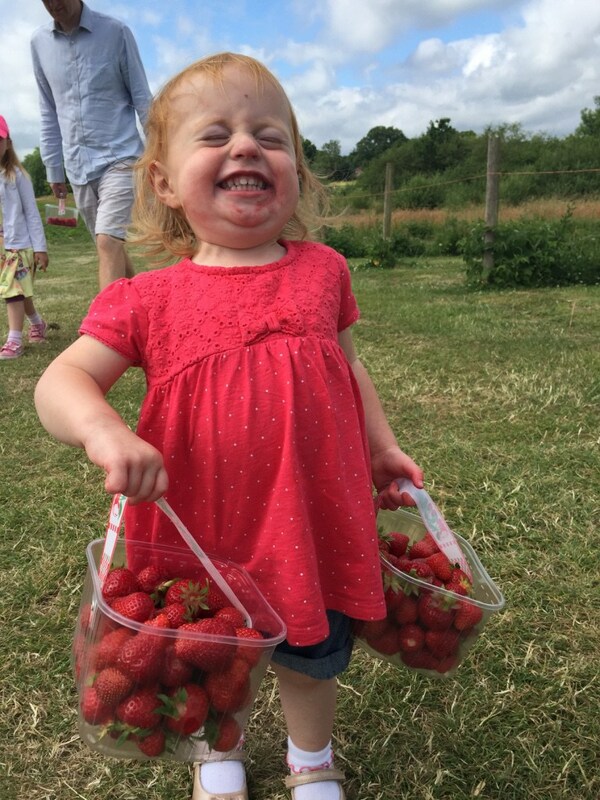 We headed home after for a naughty little treat of strawberries and cream! We will 100% be heading back again, (possibly a few times) before the end of the season! Have you ever tried picking or growing your own fruit? Afternoon Tea @ BB Bakery! 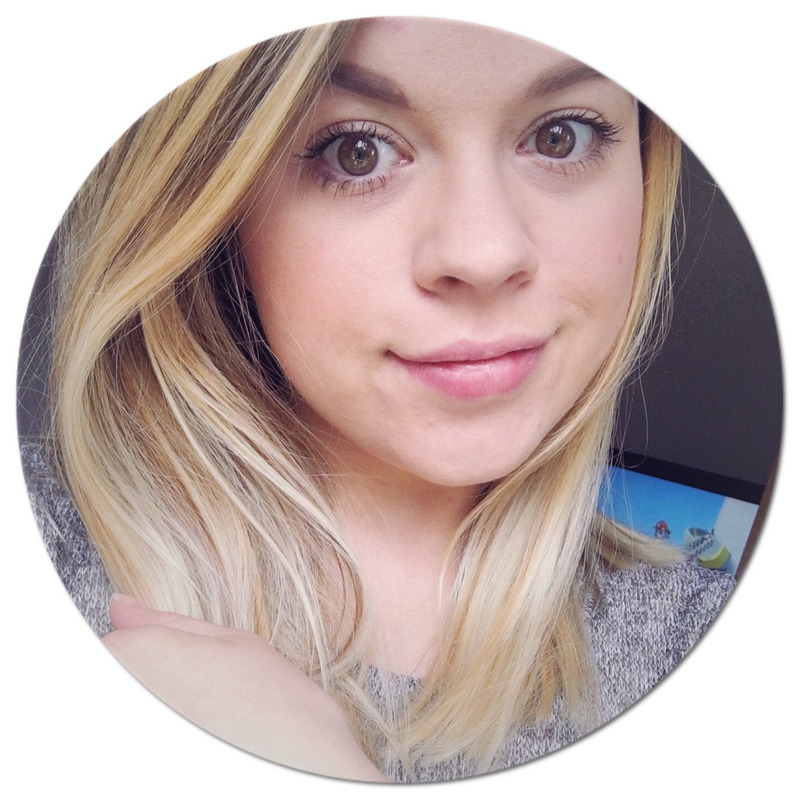 Guest Posting For Cake Cetera! Stella & Dot Trunk Show!